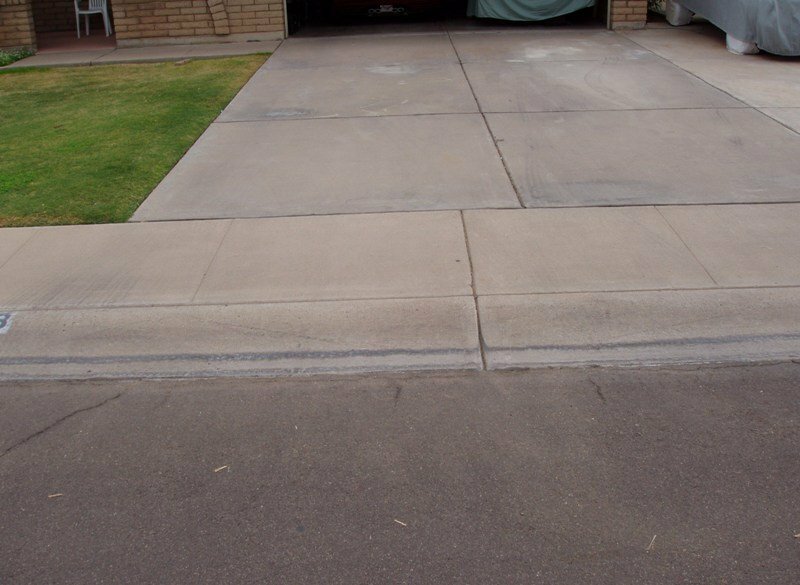 Many low slung sports cars face a suburban threat – driveways. 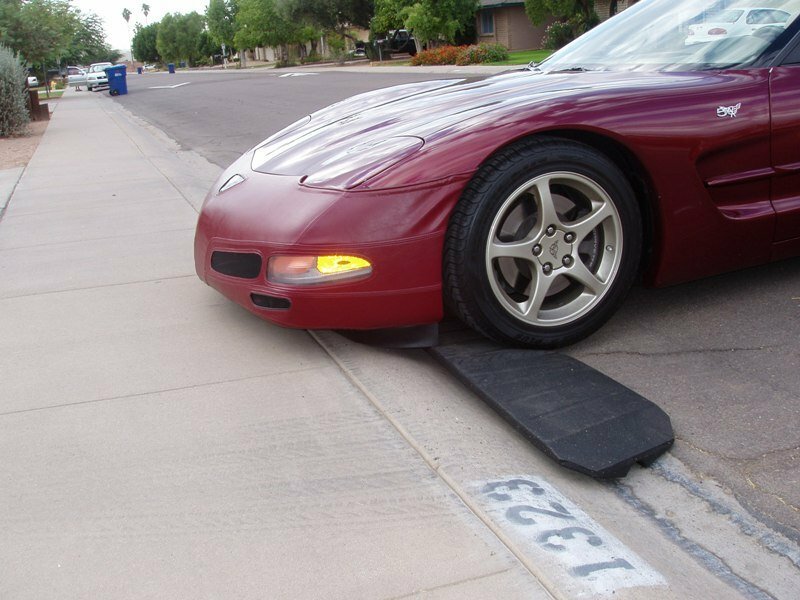 It seems that many residential driveways have too sharp of an incline to allow for low profile cars to enter without scraping the side effects or body panels. 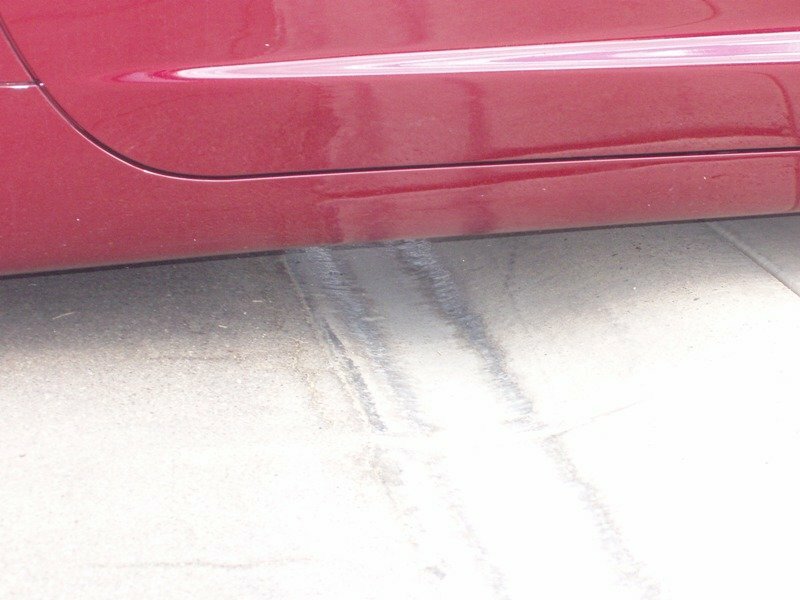 I have even experienced a Toyota Camry scrape a driveway when “loaded” down with four adults! But Bridjit has come to our rescue. 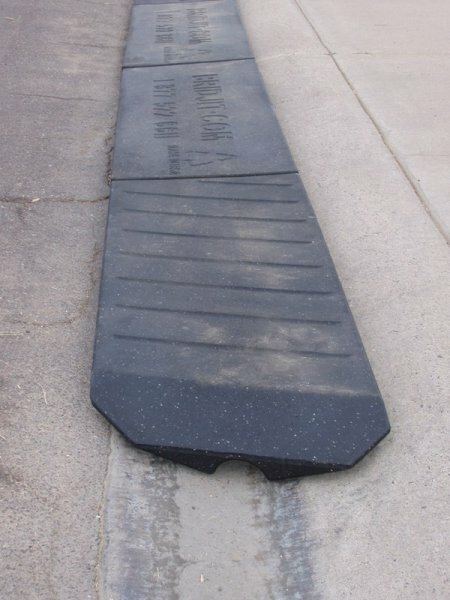 These folks at Bridjit have engineered a heavy-duty rubber curb that helps minimize the drop off on many curbs and driveways. It is made out of recycled tires, so you can even get an environmental thumbs up! We first ran across this item at the SEMA Show in Las Vegas. 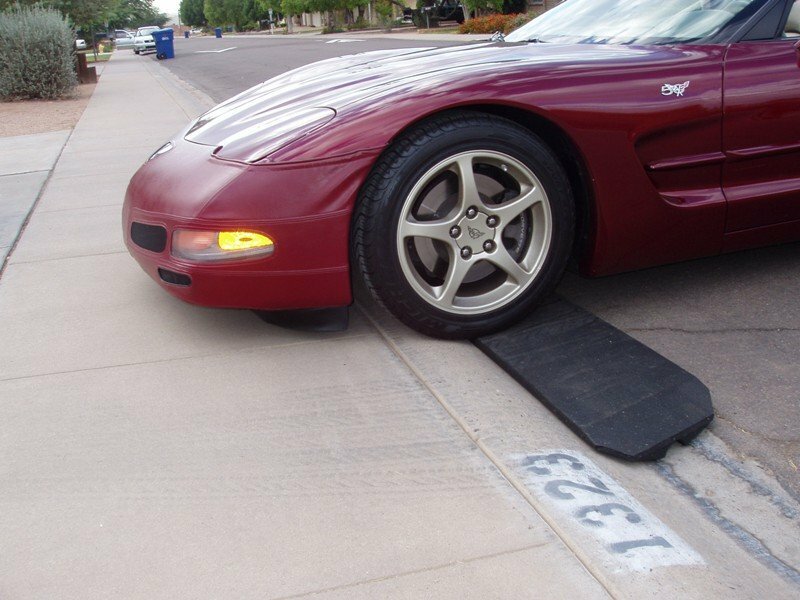 Our test vehicle was stock 2003 Corvette. Regardless of the angle of the approach, the car always scraped the front air dam. Now Chevrolet did design this to be a flexible item, but eventually this air dam is bound to tear off or worse. 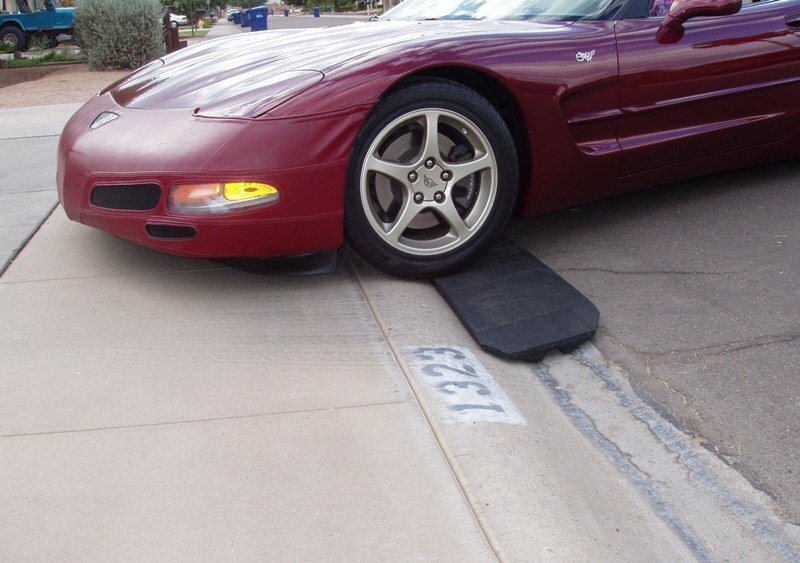 With the Bridjit in place the Corvette has a much easier time traversing the driveway. 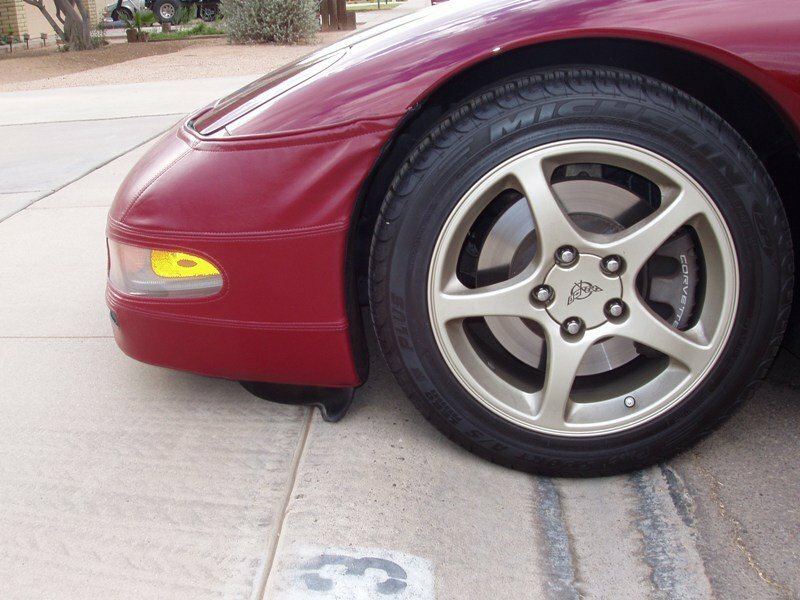 The typical set up consists of a main portion of straight curbing and two tapered end pieces. They bolt together with galvanized nuts and bolts. 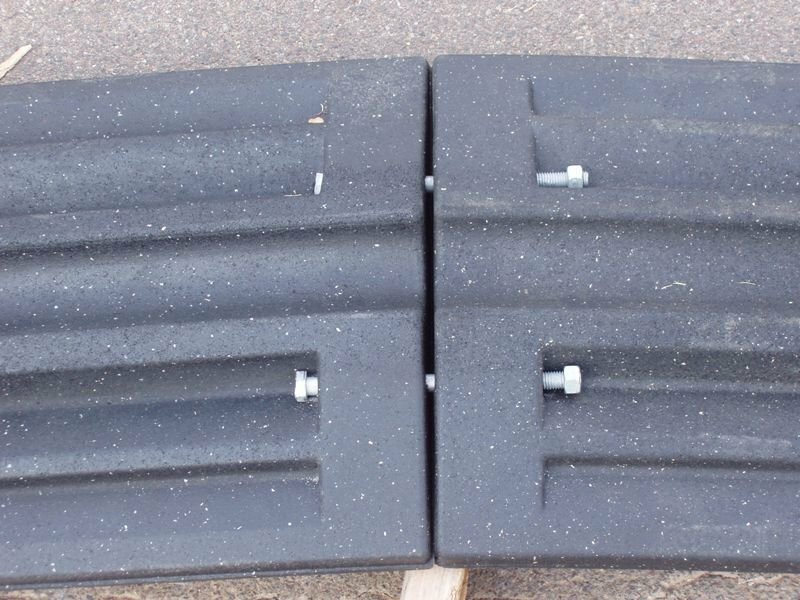 If necessary you could order additional sections of the main straight piece for longer drives. These babies are tough and durable. Ours has been exposed to the harsh Arizona sun for years now with no deterioration. 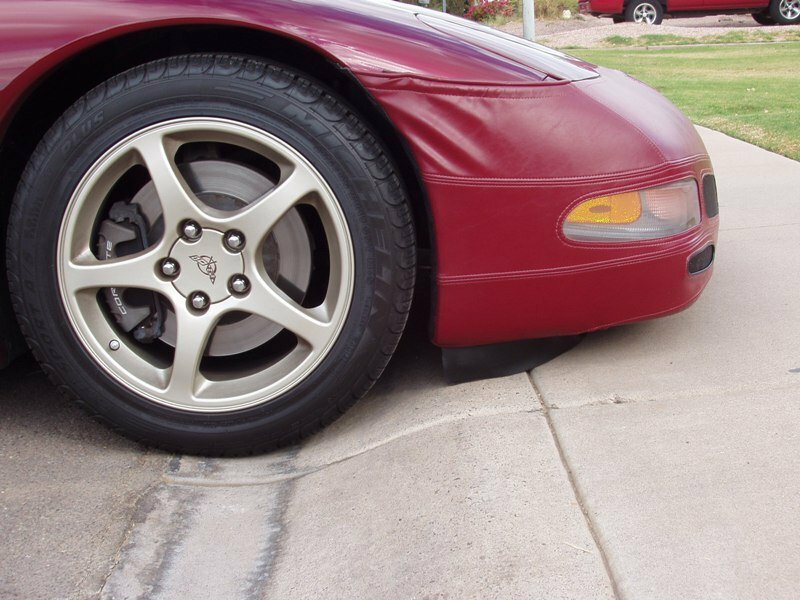 Bridjit curbs are also rain and street sweeper safe. 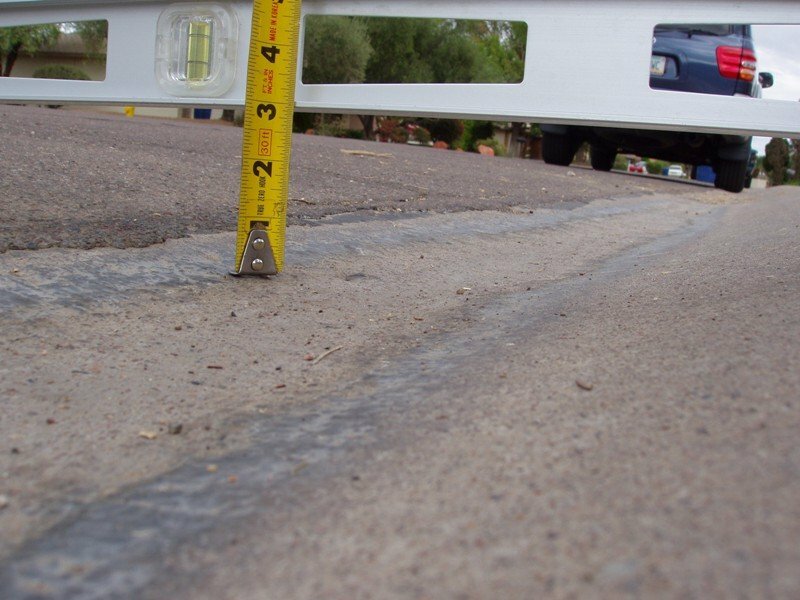 There is a circular channel built into the underside so water can run underneath the curbing. And the city street sweepers just steer around it when they come down our street, just like a parked car or similar obstruction. We were originally concerned that the Bridjit might “disappear” at the hands of a midnight thief so our name was painted on the underside. But truth be known, at twelve feet and 75 pounds, these are a bit unwieldy, after assembly, so doubt if theft is a big issue. What will be an issue is curiosity from passerby’s. We have had more than one car back up and peer again at the Bridjit and look it over. 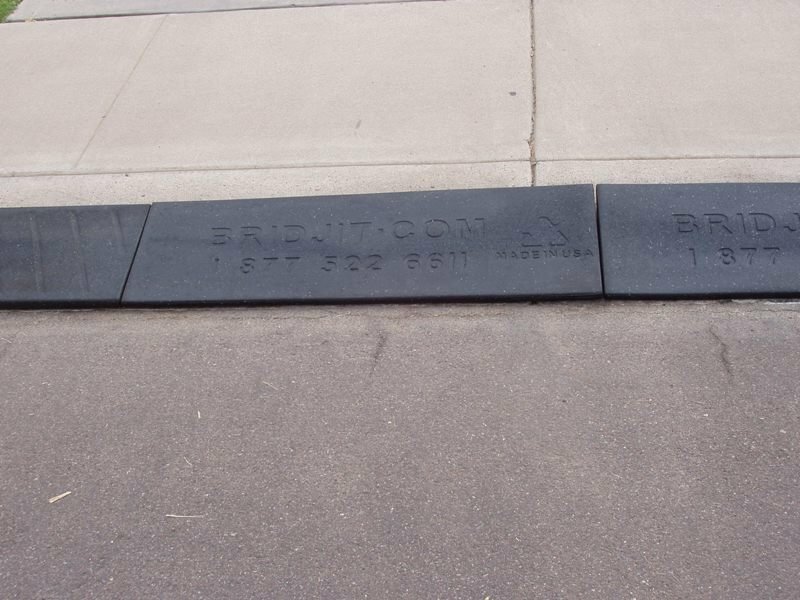 Nice that Bridjit inscribed their name and toll-free phone number (877 522-6611) on the curbing. Good marketing and free advertising! 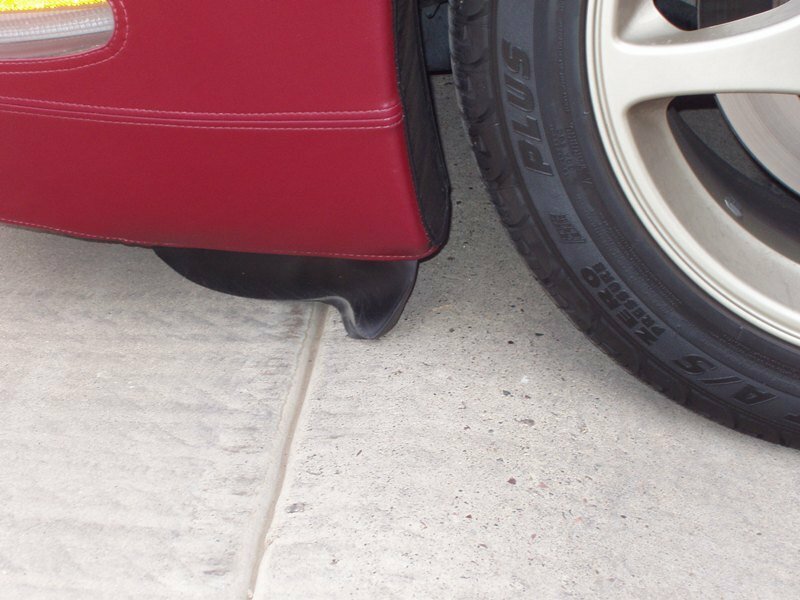 Several car shops carry the Bridjit curbs but I’d suggest ordering straight from the website and checking in with the friendly owners if you have any specific questions.